Experiencing Spock beam in, seeing virtual data like the coordinates of an incoming threat overlaid in the real world or being a blue character inside a virtual world were all just dreamy concepts teased to us through Hollywood blockbusters like Star Trek, Iron Man, Avatar and many more…until very recently. What’s spurred the monumental evolution in the Virtual Reality (VR) and Augmented Reality (AR) space is an inflection point of graphics compute power, high-pixel density but small displays, low power/portability, and dropping costs but most importantly, the overwhelming declaration from gamers, designers and engineers to break out of 2D worlds. So let’s back up a bit since this sudden shift has been just that…sudden, and give you a simple lay of the land. First of all, what are all these acronyms that end with “R” and why do they matter to you? Virtual Reality (VR) is a technique which immerses you into a fully virtual world (like being a video game character). Augmented Reality (AR) is a technique that overlays virtual content into the real world (made famous by Pokémon GO but hardly a reflection of its true capabilities). Both techniques share the same basic set of technical requirements but can differ in terms of how they are experienced and on which devices. Think of them as two sides of the same coin. VR requires Head-Mounted Displays (HMDs), such as HTC Vive, Facebook’s Oculus Rift, Samsung GearVR, Google Daydream and StarVR. 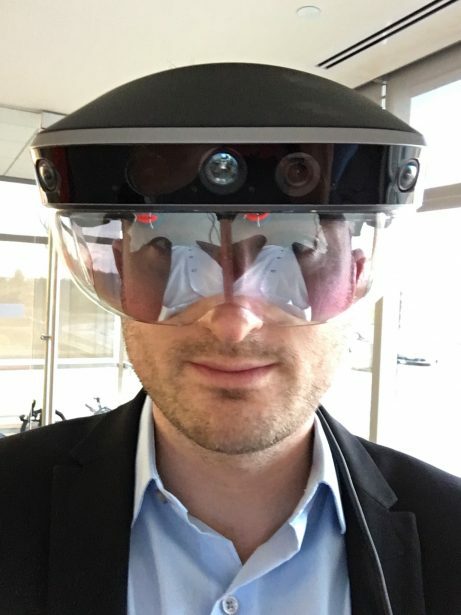 AR is a bit more flexible and can generate functional experiences on mobile phones, tablets or HMDs, such as Microsoft HoloLens, MetaVision Meta2, ODG R7-R9, Google Glass. The importance of these techniques and the delivery system of the experiences is what they can do for you. By taking advantage of these cutting-edge and rapidly emerging solutions, you can truly consume and create content in a whole new way that breaks the limits of 2D screens and interfaces. You can now feel content. You might be asking, “but I use SOLIDWORKS….how do I export my file, clean it up, make it lighter, retain the materials and animation and other valuable features, get it into a viewer and show my boss my amazing new design on my Google Cardboard I got for free at a tradeshow?” or “how can I use these solutions to improve my designs?” You’ll be happy to know that SOLIDWORKS World 2017 is an impactful milestone for you, our partners and even ourselves because it will help answer these and other questions you may have about AR and VR. Day 1 – AR/VR goes mainstage – A full circle story featuring a SOLIDWORKS customer (MetaVision) and the capabilities of their Meta2 device previewing how you’ll be able to sell your design more immersively in the near future. Day 2 – What’s coming to SOLIDWORKS? Design in VR! Get a glimpse into how you’ll be able to directly interact with your native SOLIDWORKS design in VR. Partner Pavilion – For the duration of the show, you’ll be pleased to find examples of AR/VR solutions and previews all over the place including: In partner booths such as Lenovo, Nvidia, Dell, HP, ATI, Microsoft, WakingApp, MetaVision and many more. 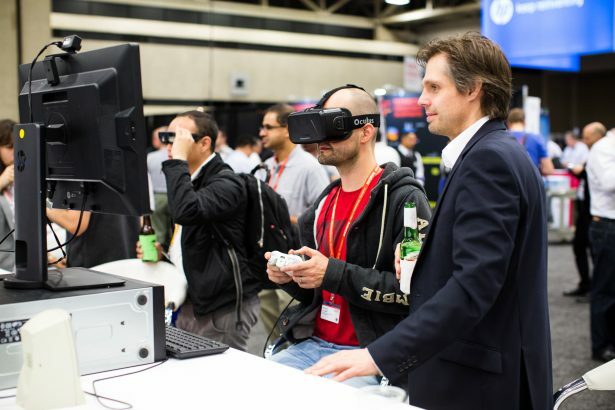 You’ll also find VR being demonstrated In the SOLIDWORKS R&D booth for exciting tech previews to help you address designing and selling your designs better by using these technologies and devices. Also, don’t miss the the DASSAULT SYSTEMES booth for a glimpse into the application of these solutions in other verticals. Welcome to the new, the next and the never before. We hope that we are the first welcoming hand as you reach through your old-school computer monitors and experience virtual immersion, scale, context, collaboration and feel for the first time. 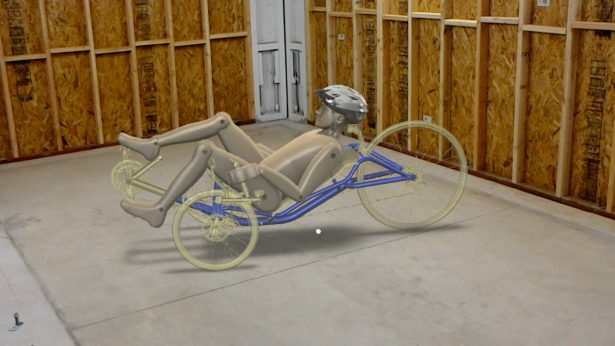 For those of you reading this at SOLIDWORKS World…you MUST try these amazing experiences in person so make sure you visit our partners and the SOLIDWORKS R&D booth in the Partner Pavilion. For those of you in your own worlds, we look forward to connecting with you soon. Just make sure you talk to us or your VAR to find out more.